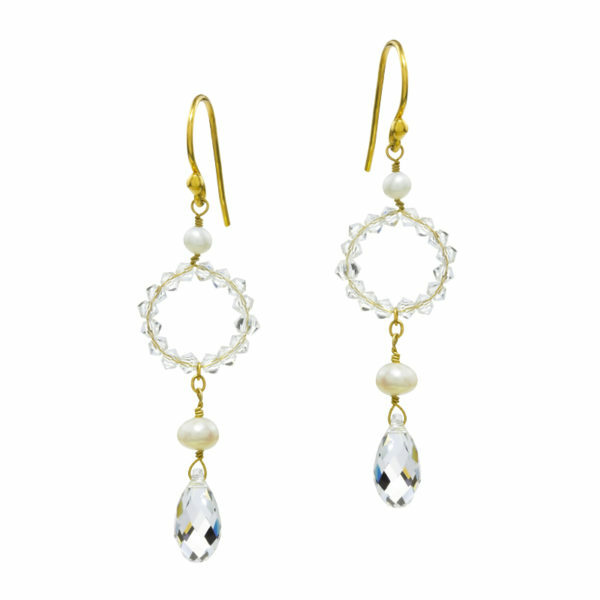 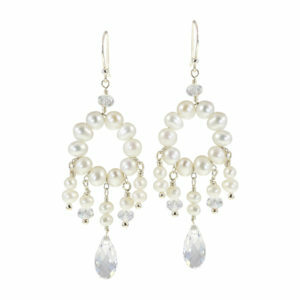 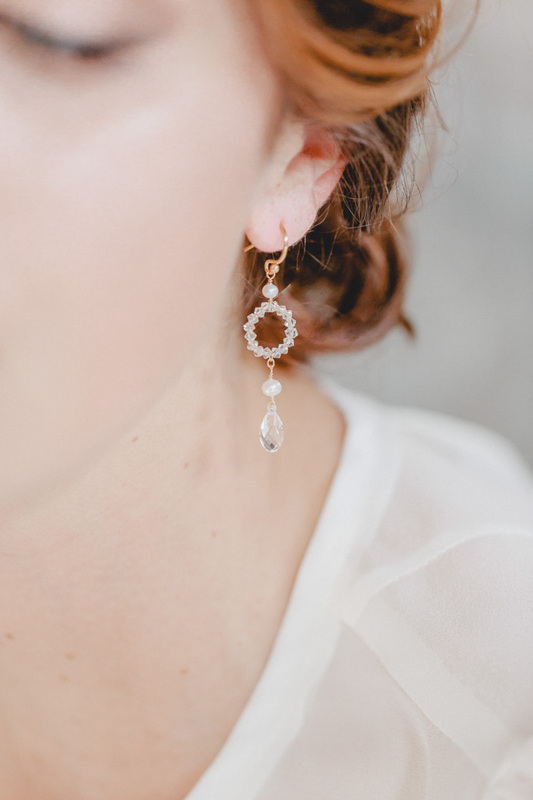 These earrings make the dream of perfect bridal jewellery come true: a circle of sparkling Swarovski crystals reminiscent of a wedding ring, framed by two precious freshwater pearls and a drop-shaped Swarovski crystal to crown it. 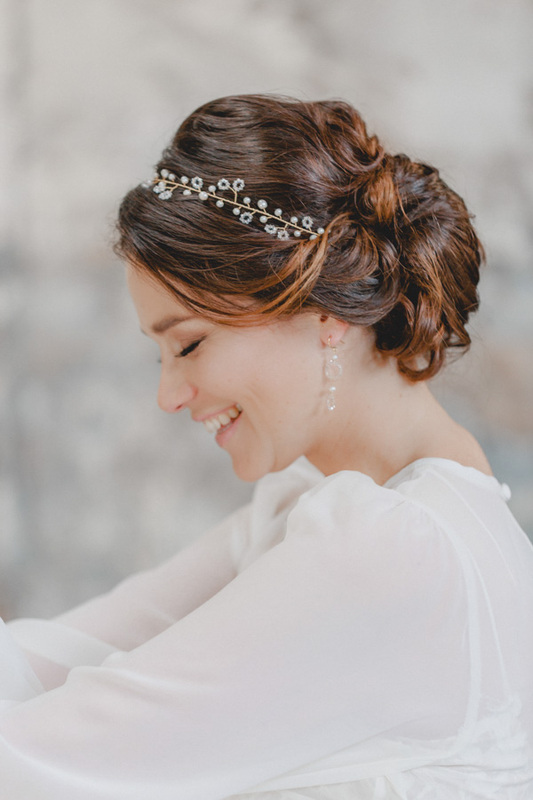 In this piece of jewellery, all the individual elements stand alone, yet also complete each other making it into a unique work of art. 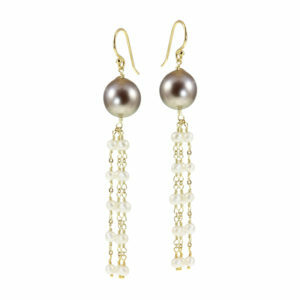 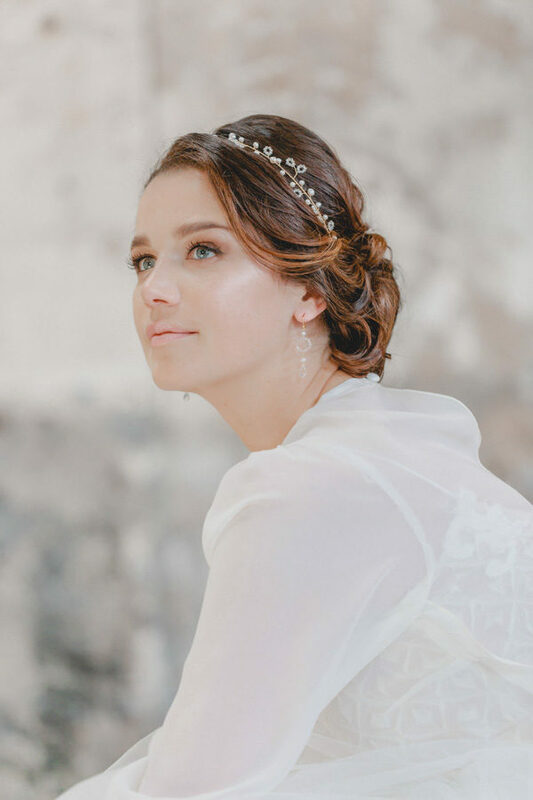 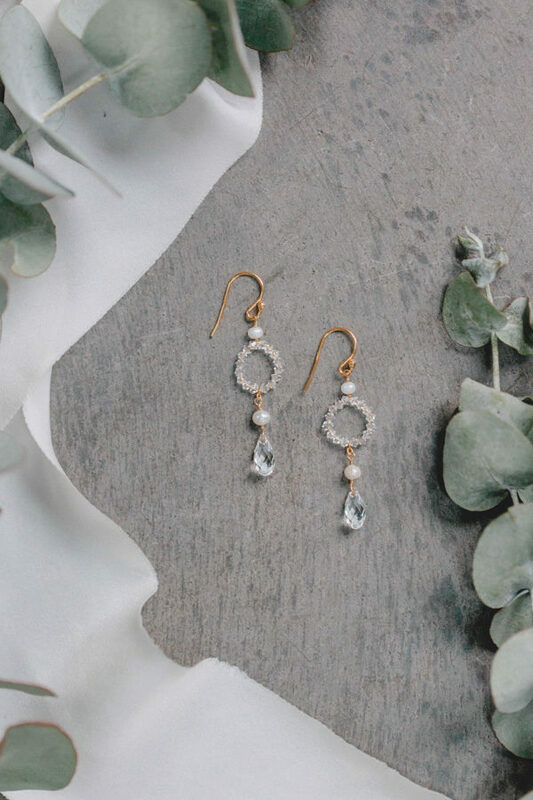 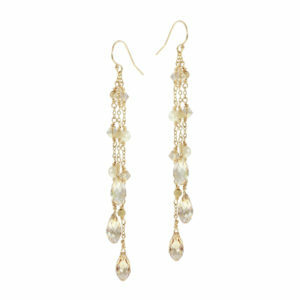 With their tidy and pure silhouette, these earrings effortlessly emphasize the natural beauty of any modern bride and fit well with feminine bridal gowns as well as shift dresses or pantsuits.